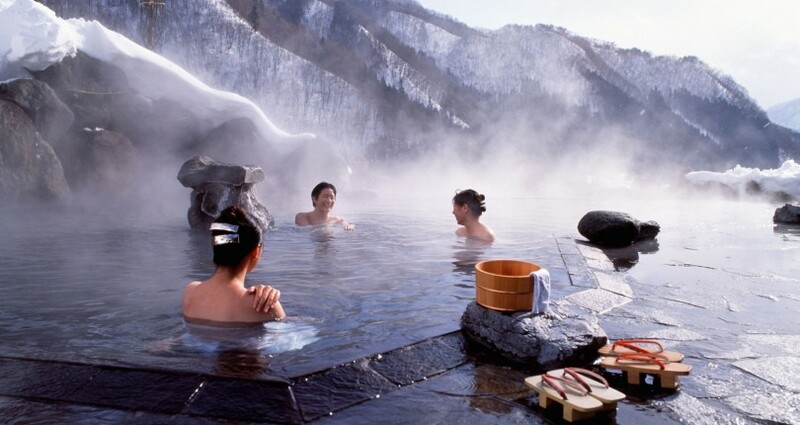 A variety of people enter hot springs and public baths in Japan and in recent years, the number of tourists and immigrants have greatly increased, thus causing much confusion. In order to maintain a pleasant environment, guests are recommended to follow these “unwritten” bathing manners while in Japan. If not, it is recommended that you bring your own or buy some at the front desk. 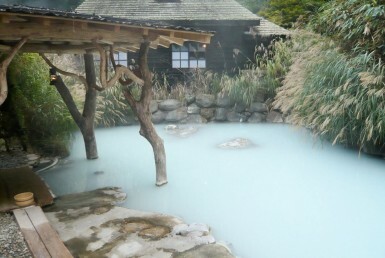 Hotels, super sento, and larger hot springs often provide these for free but public bathhouses often do not. Often times, the smaller, public bathhouses do not provide these and request that guests bring their own. Generally, 2 towels are needed: a hand towel and bath towel (small and large). The hand towel is used to wash your body before entering the baths and to cover your privates. The bath towel is left in the changing room and used to dry off afterwards. Before entering any bath tub, rinse your body in the stalls or shower, usually located near the entrance. “Kakeyu“, or “pouring water” sometimes is provided to help guests accustom their body to the same temperature of the tubs. Please wash off all your makeup or any treatments before entering the tubs. While rinsing or bathing in the tubs, please be careful not to splash or shower water, soap or shampoo on other guests. If you have long hair, please use a shower cap, hair band or tie to keep your hair from being left in the tubs. The hand towels are used to wash your body free from dead skin, makeup while also to hide your privates. Please do not rinse, squeeze or put your hand towels into the bath. Instead, set it to the side of the tub or place it on your head. Although some tubs may be quite large, they are not meant to exercise or play in as it may disturb other guests trying to relax. Please leave the diving and swimming for the pools. Many steam saunas offer salt to rub on the body to help the body sweat. Even if they don’t, it is common courtesy to rinse off your sweat in a shower or by pouring hot water over yourself from a nearby bath before entering another tub. There are many communally used tools in bath houses, therefore it is good manners to rinse them off using the showers or nearby hot water by using the pouring cups laying around. Please use your hand towel to dry off any excess water before returning to the changing room as to not get the floors wet for other guests. Drinking prior to entering the bath can be dangerous and can lead to dizziness and overheating. 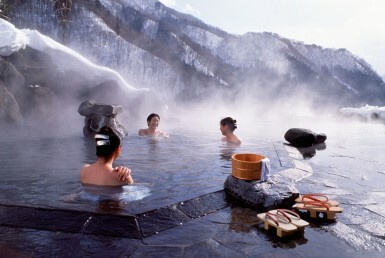 The hot water or natural onsen water often can be harmful to skin conditions. If you would like to take pictures, please look into renting a room with a private bath attached. Many places do not accept card payments. Also, many facilities use 100円 coins to access the lockers (many will return the coin after use). Even earrings, as some natural onsen may cause discoloration. Please pay attention to the facilities rules, as some allow women to wrap towels around their bodies and some require swimwear. Staying in baths for long periods of time can cause dehydration, so be sure to drink plenty of water. Alcohol consumption directly after a bath also may cause you to get drunk faster than usual. Please be responsible. Going in with friends may be fun, but many guests are there to relax and enjoy themselves in peace. Please be mindful of others, speak in calm voices and keep good manners.